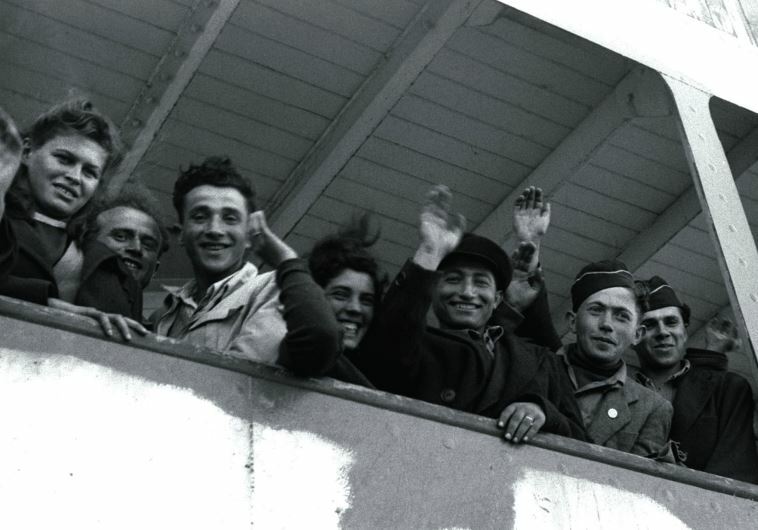 In the late 1930s, Philippine president, along with US High Commissioner McNutt and the Frieder brothers authorized the admission of some 1,300 European Jewish refugees who had fled from the Nazis. On August 19, 2015, coinciding with the 137th birthday of president Manuel L. Quezon, a singular ceremony took place in Manila. The venue was the Quezon Memorial Circle which was being inaugurated after a thorough renovation. Representing the International Raoul Wallenberg Foundation (IRWF) was the Israeli ambassador to the Philippines, Effie Ben-Matityau, who actually presented the medal and diploma to Nini and gave a brief speech on behalf of the NGO, highlighting the moral courage of the laureate. The Wallenberg Foundation was also represented by Lee Blumenthal, a senior member of the Jewish Association of the Philippines. President Benigno Aquino III attended the ceremony, together with high-ranking government officials, members of the Quezon family, representatives of the Diplomatic Corps and an a packed, 3,000-strong audience. The key mission of our foundation is to keep alive the legacy of the rescuers, and Quezon was a great one, albeit relatively unknown to the public at large. Blumenthal and Ben-Matityau, as leader of the Jewish community and as a senior Israeli diplomat respectively, could be deemed heirs of those who benefited from Quezon’s feats. In the late 1930s, president Quezon, together with the US High Commissioner Paul V. McNutt and with the help of the Frieder brothers (American Jews who settled in the Philippines where they established a prosperous tobacco business) authorized the admission of some 1,300 European Jewish refugees who had fled from the Nazi regime. This humanitarian gesture is known as Quezon’s Open Doors Policy. According to senior scholar Professor Sharon Delmendo, who is writing an authoritative biography of president Quezon, the latter’s original plans were significantly more far-reaching. In fact he wanted to absorb tens of thousands refugees in Mindanao, but this ambitious dream was thwarted by the prevailing circumstances, primarily the outbreak of WWII and the Japanese invasion. President Quezon’s sympathy toward the Jewish refugees, known as Manilaners, was underscored on April 23, 1940, when he donated 7.5 hectares of his own country estate in Marinika as a working farm for the Jews. Quezon’s statement proved to be prophetic. When the Yolanda Typhoon devastated the Philippines in November 2013, surviving Manilaners mobilized to raise funds for those affected by this natural tragedy, demonstrating their gratitude to the Filipino people. President Quezon’s legacy is in the core of the Filipino people, who cherish a tradition of hospitality and solidarity with refugees. It is no wonder that refugees from the Spanish Civil War and more recently, Vietnamese and Indochinese refugees sought refuge in the Philippines. Back in 2009, the State of Israel honored president Quezon with the erection of the Open Doors Monument, which was emplaced at the Rishon LeZion Memorial Park, however, this great rescuer remains relatively anonymous in Israel. The mission of the International Raoul Wallenberg Foundation is to underscore the spirit of solidarity and civic courage displayed by the rescuers and president Manuel L. Quezon deserves our gratitude and recognition. To be sure, the young generations have the right to know these magnificent role models. Eduardo Eurnekian is the chairman and Baruch Tenembaum the founder of The International Raoul Wallenberg Foundation.